The 3-star residence Le Bois de La Reine, Super Besse, Massif Central, France comprises of between 6 to 8 apartments spread over small hamlets, situated in the middle of a forest and interconnected via footpaths. The 26 chalets and the reception building are located at the entrance of the resort, 800m from the pistes (free shuttle) and offer a fantastic view over the Massif du Sancy. The Residence O Sancy by RésidandCo is in the upper part of the resort of Super Besse. The ski slopes are 1.5 km away and the resort centre with its shops and other amenities is 1 km away. There is a free shuttle bus service which runs every 15-30 minutes. The chalets which make up the residence are attractive and fully equipped. Every building has a lift. Guests have free access to an indoor swimming pool and a sauna. 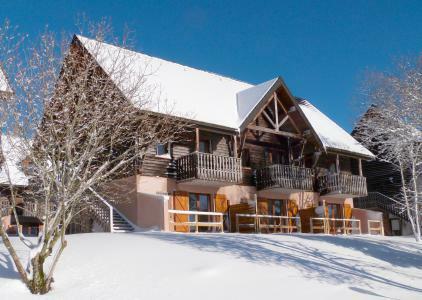 The residence les Chalets de Super-Besse is situated overlooking the ski resort and Lake of Hermines, 200 m from the cross country area Plaine des Moutons where you can practice cross-country skiing and snowshoeing. 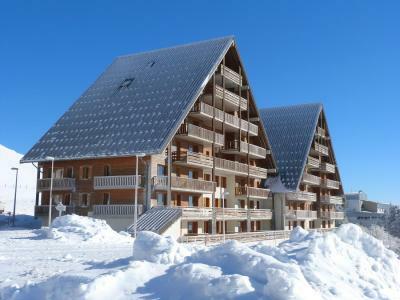 Super-Besse center and the ski lifts are 1 km from the residence. Dressed in wood and stone, it consists of 3 chalets with comfortable apartments and all with a balcony or terrace. This residence is equipped with a beautiful 750m² aquatic area dedicated to relaxation and well-being including a heated indoor pool with swan necks, a bubble bench and hydro-massage jets, sauna and steam room. The complex also has outdoor parking. Child friendly residence "Le Bois de la Reine". 30 houses in the residence. In the centre of Super Besse, in the resort, in a quiet position on top of a hill, 2 km from the lake, 1 km from the skiing area, 600 m from the river, in the countryside, in a pedestrian area. For shared use: park with plants and trees, swimming pool heated (10 x 8 m, 01.07.-15.09.). Boccia, children's playground. In the complex: reception, lounge with TV, WiFi, sauna (extra). Relaxation room, table tennis, billiard table, playroom, table football, central heating system, washing machine, tumble dryer (for shared use, extra), bicycle rental. Bread roll service. Parking. 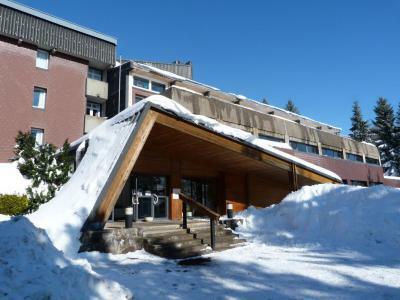 Grocery 600 m, restaurant 800 m, railway station "Clermont-Ferrand" 20 km, park "L'enclos de tibou", lake des Hermines 800 m. Riding stable 2 km, sports centre 600 m, cable car, gondola lift, skisport facilities, slopes, ski school 800 m, sled run 200 m. Nearby attractions: Clermont-ferrand 20 km. 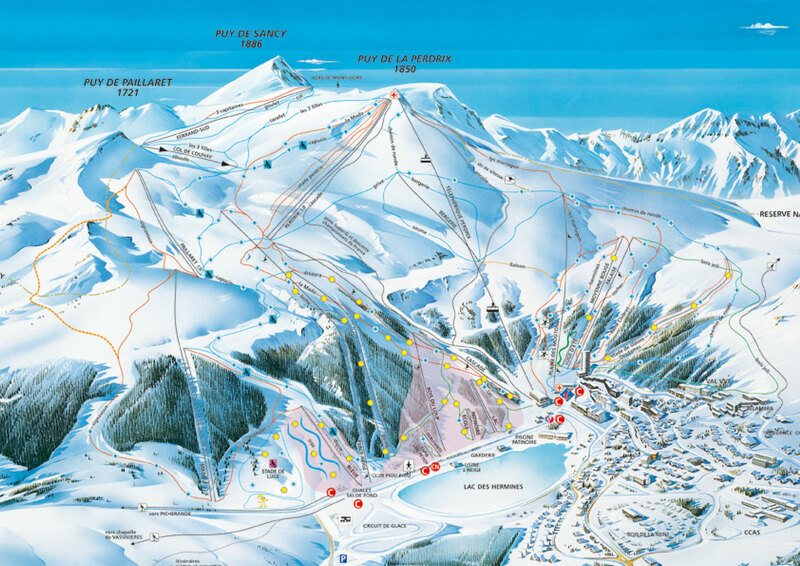 Well-known ski regions can easily be reached: Super Besse, Grand Sancy. Well-known lakes can easily be reached: des Hermines 2 km. Hiking paths: GR 4. Please note: car-free holiday complex, car recommended. Reception open 17:00-20:00 hrs. Suitable for families, baby equipment on request (included). Fishing [permit required]. Please note: the photograph shows a typical example. The catalogue photo is just an example. There are more similar properties for rent in this same residence. 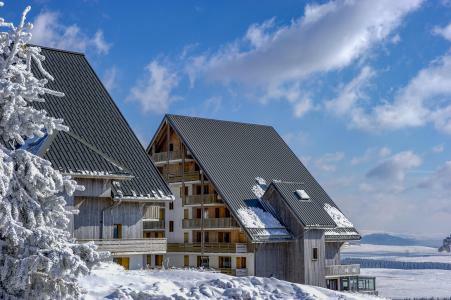 Situated 500m from the pistes and 700m from the centre, the VVF Villages Massif du Sancy, Super Besse, Massif Central, France comprises of 69 apartments spread over 2 buildings on 4 floors (with lifts) and overlooks the resort. The nearest amenities such as minimarket, grocery shop, a bakery and butcher are 700 m away. The VVF village Le Montferrand, Super Besse, Massif Central, France offers the perfect setting for sledging in the middle of the snowy landscape of Auvergne. Return to the residence in Super Bess, Massif Central, France is possible with skis on depending on snow coverage (except for beginners). Modern residence "O Sancy". 135 apartments in the residence. In the resort, on a slope, 1.5 km from the skiing area. For shared use: indoor pool heated (10 x 8 m, depth 150 - 150 cm, 01.01.-31.12.) with internal staircase. In the complex: reception, internet access, WiFi, sauna (all included), relaxation room, playroom, lift, storage room for skis, central heating system, washing machine, tumble dryer (for shared use, extra). Breakfast possible on request (extra). In Winter: please take snow chains. Parking. Shop 1.5 km, grocery 1.5 km, supermarket 7 km, restaurant 2 km, railway station "Clermont Ferrand" 7 km. Slopes 1.5 km, ski bus stop 500 m. Nearby attractions: La Bourboule 7 km, Mont Doré 7 km. Well-known ski regions can easily be reached: Super Besse 7 km. Well-known lakes can easily be reached: Des Hermines. Please note: car recommended. Suitable for families, baby equipment on request (included). Ski bus (free of charge). Free ski bus service to the ski region Super Besse.